Located in the heart of the Yorkshire dales, Hawes is a peaceful little village of mellow stone buildings, shops and houses, linked by cobbled streets. 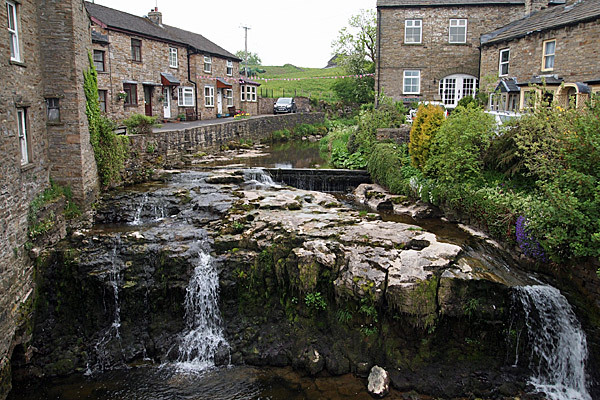 A branch of the River Ure with its gushing waterfalls flows through the centre of the village. 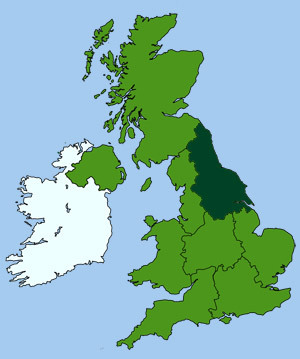 The town is famous for the production of Wensleydale cheese, originally made by French Monks who settled here after the Dissolution of the Monasteries during the 16th-c. These fine cheese making skills have been handed down to local farmers over the years, leading to the industrial cheese production of today. The town's magnificent market house, in the centre of the main street, holds indoor markets each week and furniture antique auctions. A regular street market is also held on Tuesdays. There is plenty to see and do in the village, including the Dales Countryside Museum, Wensleydale Creamery, The Hawes Rope Makers and the recently restored Gayle Mill. Hawes is ideally located in the heart of the Dales walking country. Visitors can also take the nearby Snaizeholme Red Squirrel Trail, at Widdale, to see many of these lovable creatures making a comeback in their natural habitat. 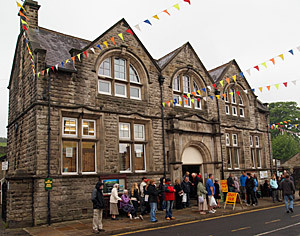 This informative little museum exhibits local social history and information on the Dales. 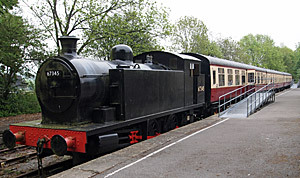 Sited in the town's Victorian railway station (complete with a steam locomotive and carriages) it is packed with interesting displays. Fun for all the family with hands-on interactive exhibits for children, temporary exhibitions and special events. Don't miss the outdoor sculpture trail and woodland walk. Traditional twist rope making demonstrations provided. 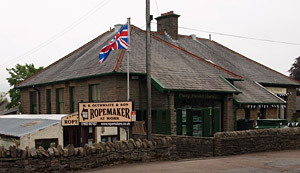 Visitors can purchase products made from Hawes rope, such as dog leads, in the gift shop. Experience the craft of famous Yorkshire cheese making, learn about the origins of this famous cheese in the on-site museum. Wensleydale cheeses can be purchased in the cheese shop or samples enjoyed in the restaurant and coffee shop. Fascinating Victorian sawmill with working turbine and woodworking machinery. Live demonstrations on selected days. 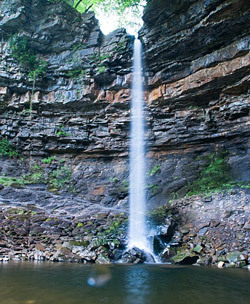 Located a just few miles north of Hawes is the famous 80 ft (25 m) drop of Hardraw Force - England's highest single drop waterfall. This impressive natural feature can be reached by a footpath located just behind the Green Dragon Inn in Hardraw.